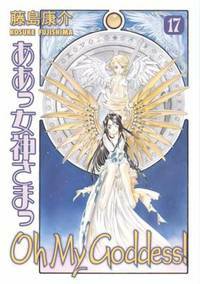 Home > Fujishima, Kosuke > Oh My Goddess! 2007-03-07. Good. Ships with Tracking Number! INTERNATIONAL WORLDWIDE Shipping available. May not contain Access Codes or Supplements. May be ex-library. Shipping & Handling by region. Buy with confidence, excellent customer service! Paw Prints 2007-10-30. Used - Like New. Book in almost Brand New condition. Paw Prints 2007-10-30. Used - Very Good. Great condition for a used book! Minimal wear. Paw Prints 2007-10-30. Used - Good. Ships from Reno, NV. Former Library book. Shows some signs of wear, and may have some markings on the inside. 100% Money Back Guarantee. Shipped to over one million happy customers. Your purchase benefits world literacy! 2007-12-21. Good. Ships with Tracking Number! INTERNATIONAL WORLDWIDE Shipping available. May not contain Access Codes or Supplements. May be ex-library. Shipping & Handling by region. Buy with confidence, excellent customer service! Dark Horse, December 1999. Trade . 4.1 PB extra nice +5%. Dark Horse Comics, 1999. Book. Illus. by Fujishima, Kosuke (story & art); Lee, Susie; Orz, PC (lettering and touch-up). Fine. Trade Paperback. 12mo - over 6¾" - 7¾" tall. Like-new condition (Gift Quality) Appears unread. November 1999 Printing. NO writing, marks or tears - Tight spine - Bright pages. NO remainder marks or price clippings. Great cartoon art throughout. Dark Horse Comics, 1999. Book. Illus. by Fujishima, Kosuke (story & art); Lee, Susie; Orz, PC (lettering and touch-up). Fine. Trade Paperback. 8vo - over 7¾" - 9¾" tall. Like-new condition (Gift Quality) Appears unread. April 1999 Printing. NO writing, marks or tears - Tight spine - Bright pages. NO remainder marks or price clippings. Great cartoon art throughout. Milwaukie, OR: Dark Horse Manga/ A Division of Dark Horse Comics, Inc., 1997. 1st Edition: Oct. 1997, Vol. IV . Trade Paperback. Like New. 8vo or 8° (Medium Octavo): 7¾" x 9¾" tall. Susie Lee with Betty Dong & Jon Babcock with Tom2K ((Lettering and Touch-Up by); Lia Ribacchi (Art Director). Page Number: N/A. Flawless copy. Milwaukie, OR: Dark Horse Manga/ A Division of Dark Horse Comics, Inc., 1997. 1st Edition: Oct. 1997 . Trade Paperback. Like New. 8vo or 8° (Medium Octavo): 7¾" x 9¾" tall. Susie Lee with Betty Dong & Jon Babcock with Tom2K ((Lettering and Touch-Up by); Lia Ribacchi (Art Director). Page Number: N/A. Flawless copy. Milwaukie, OR: Dark Horse Manga/ A Division of Dark Horse Comics, Inc., 2005. 1st Edition: January 2005 . Trade Paperback. Like New. 8vo or 8° (Medium Octavo): 7¾" x 9¾" tall. Susie Lee with Betty Dong & Jon Babcock with Tom2K ((Lettering and Touch-Up by); Lia Ribacchi (Art Director). Page Numbers: N/A. Nearly flawless copy with minimal external wear. Publisher's remainder mark on bottom edge. Milwaukie, OR: Dark Horse Manga/ A Division of Dark Horse Comics, Inc., 2005. 1st Edition: January 2005 . Trade Paperback. Like New. 8vo or 8° (Medium Octavo): 7¾" x 9¾" tall. Susie Lee with Betty Dong & Jon Babcock with Tom2K ((Lettering and Touch-Up by); Lia Ribacchi (Art Director). Page Number: N/A. Flawless copy. Milwaukie, OR: Dark Horse Manga/ A Division of Dark Horse Comics, Inc., 2004. 1st Edition, May 2004 . Trade Paperback. Like New. 8vo or 8° (Medium Octavo): 7¾" x 9¾" tall. Susie Lee with Betty Dong & Jon Babcock with Tom2K ((Lettering and Touch-Up by); Lia Ribacchi (Art Director). Page Number: N/A. Flawless copy. Milwaukie, OR: Dark Horse Manga/A Division of Dark Horse Comics, Inc., 2005. 1st Edition: January 2005 . Trade Paperback. Like New. 8vo or 8° (Medium Octavo): 7¾" x 9¾" tall. Susie Lee with Betty Dong & Jon Babcock with Tom2K ((Lettering and Touch-Up by); Lia Ribacchi (Art Director). Page Number: N/A. Flawless copy. Milwaukie, OR: Dark Horse Magna/A Division of Dark Horse Comics, Inc., 2004. 1st Edition, May 2004 . Trade Paperback. Like New. 8vo or 8° (Medium Octavo): 7¾" x 9¾" tall. Susie Lee with Betty Dong & Jon Babcock with Tom2K ((Lettering and Touch-Up by); Lia Ribacchi (Art Director). Page Number: N/A. Flawless copy. Milwaukie, Oregon, U.S.A.: Dark Horse Comics, 1999. Please email us if you would like further information or if you would like us to send you a picture of the book. Thanks for looking!. First Edition 1st Printing. Soft Cover. Very Good +. 8vo - over 7¾" - 9¾" tall. Milwaukie, OR: Dark Horse Manga/ A Division of Dark Horse Comics, Inc., 2001. 1st Edition: Oct. 2001 . Trade Paperback. Like New. 8vo or 8° (Medium Octavo): 7¾" x 9¾" tall. Susie Lee & PC Orz (Lettering and Touch-Up by); Mark Cox (Art Director). Page Number: N/A. Flawless copy. Milwaukie, OR: Dark Horse Manga/A Division of Dark Horse Comics, Inc., 2004. 1st Edition, May 2004 . Trade Paperback. Like New. 8vo or 8° (Medium Octavo): 7¾" x 9¾" tall. Susie Lee with Betty Dong & Jon Babcock with Tom2K ((Lettering and Touch-Up by); Lia Ribacchi (Art Director). Page Number: N/A. Flawless copy. U.S.A.: Dark Horse Comics, 2000. Manga. Very Good. Paperback. 4to - over 9¾ - 12" tall. A little shelf wear to the cover and a light tan to the book's edges. Otherwise in very good condition. The pages are still tight, bright and extremely clean and there are no inscriptions. All my products are carefully packed and I make every effort to despatch orders the same day as payment. If you have any questions regarding this item please do not hesitate to ask. A photograph is readily available upon request. . Dark Horse Comics, 2007. Paperback. Good. Disclaimer:A copy that has been read, but remains in clean condition. All pages are intact, and the cover is intact. The spine may show signs of wear. Pages can include limited notes and highlighting, and the copy can include previous owner inscriptions. Dark Horse Comics, 2005. Paperback. As New. Disclaimer:An apparently unread copy in perfect condition. Dust cover is intact; pages are clean and are not marred by notes or folds of any kind. At ThriftBooks, our motto is: Read More, Spend Less.Dust jacket quality is not guaranteed. Dark Horse Comics, 2006. Paperback. Good. Disclaimer:A copy that has been read, but remains in clean condition. All pages are intact, and the cover is intact. The spine may show signs of wear. Pages can include limited notes and highlighting, and the copy can include previous owner inscriptions. At ThriftBooks, our motto is: Read More, Spend Less.Dust jacket quality is not guaranteed. Dark Horse Comics, 2007. Paperback. As New. Disclaimer:An apparently unread copy in perfect condition. Dust cover is intact; pages are clean and are not marred by notes or folds of any kind. At ThriftBooks, our motto is: Read More, Spend Less.Dust jacket quality is not guaranteed. Dark Horse Comics, 2008. Paperback. Acceptable. Disclaimer:A readable copy. All pages are intact, and the cover is intact. Pages can include considerable notes-in pen or highlighter-but the notes cannot obscure the text. At ThriftBooks, our motto is: Read More, Spend Less.Dust jacket quality is not guaranteed. Dark Horse Comics, 2008. Paperback. As New. Disclaimer:An apparently unread copy in perfect condition. Dust cover is intact; pages are clean and are not marred by notes or folds of any kind. At ThriftBooks, our motto is: Read More, Spend Less.Dust jacket quality is not guaranteed. N/A, Apr-06. Paper Back Paper Back. Used - Good. Satisfaction Guaranteed!! Titan Books Ltd, 10/26/2007. Paperback. Used; Good. **WE SHIP WITHIN 24 HRS FROM LONDON, UK, 98% OF OUR ORDERS ARE RECEIVED WITHIN 7-10 DAYS. We believe you will be completely satisfied with our quick and reliable service. All orders are dispatched as swiftly as possible! Buy with confidence! Dark Horse Comics, 05/01/2001. Paperback. Used; Good. **WE SHIP WITHIN 24 HRS FROM LONDON, UK, 98% OF OUR ORDERS ARE RECEIVED WITHIN 7-10 DAYS. We believe you will be completely satisfied with our quick and reliable service. All orders are dispatched as swiftly as possible! Buy with confidence! Milwaukie: Dark Horse Comics, Inc., 2000 Story & Art by Kosuke Fujishima, Translation by Dana Lewis & Toren Smith, Lettering & Touch-Up by Susie Lee & PC Orz. PAPERBACK, graphic novel/cartoon book, clean & in good condition, the spine is un-creased & there is light shelf wear, English text, packed securely, prompt dispatch. . Stated First Edition October 2000. Paperback. Good. 8vo - over 7¾" - 9¾" Tall..
Titan Books Ltd, 12/21/2007. Paperback. Used; Good. **WE SHIP WITHIN 24 HRS FROM LONDON, UK, 98% OF OUR ORDERS ARE RECEIVED WITHIN 7-10 DAYS. We believe you will be completely satisfied with our quick and reliable service. All orders are dispatched as swiftly as possible! Buy with confidence! Titan Books Ltd, 02/22/2008. Paperback. Used; Good. **WE SHIP WITHIN 24 HRS FROM LONDON, UK, 98% OF OUR ORDERS ARE RECEIVED WITHIN 7-10 DAYS. We believe you will be completely satisfied with our quick and reliable service. All orders are dispatched as swiftly as possible! Buy with confidence! Dark Horse Comics, 2010. Paperback. Good. Disclaimer:A copy that has been read, but remains in clean condition. All pages are intact, and the cover is intact. The spine may show signs of wear. Pages can include limited notes and highlighting, and the copy can include previous owner inscriptions. An ex-library book and may have standard library stamps and/or stickers. At ThriftBooks, our motto is: Read More, Spend Less.Dust jacket quality is not guaranteed. DARK HORSE COMICS. GOOD CONDITION. TRADE PAPERBACK. 1ST. Dark Horse Manga. Paperback. 1569712077 . Very Good. 1996. Trade Paperback. Dark Horse Comics 2003. Unless Listed in this decription, VG or Better. Dark Horse Comics, 2008. Paperback. Acceptable. Disclaimer:A readable copy. All pages are intact, and the cover is intact. Pages can include considerable notes-in pen or highlighter-but the notes cannot obscure the text. An ex-library book and may have standard library stamps and/or stickers. At ThriftBooks, our motto is: Read More, Spend Less.Dust jacket quality is not guaranteed. Dark Horse Comics, 2006. Paperback. Good. Disclaimer:A copy that has been read, but remains in clean condition. All pages are intact, and the cover is intact. The spine may show signs of wear. Pages can include limited notes and highlighting, and the copy can include previous owner inscriptions. An ex-library book and may have standard library stamps and/or stickers. At ThriftBooks, our motto is: Read More, Spend Less.Dust jacket quality is not guaranteed. Dark Horse Comics, 2006. Paperback. Acceptable. Disclaimer:A readable copy. All pages are intact, and the cover is intact. Pages can include considerable notes-in pen or highlighter-but the notes cannot obscure the text. An ex-library book and may have standard library stamps and/or stickers. At ThriftBooks, our motto is: Read More, Spend Less.Dust jacket quality is not guaranteed. Dark Horse Comics, 2011. Paperback. Acceptable. Disclaimer:A readable copy. All pages are intact, and the cover is intact. Pages can include considerable notes-in pen or highlighter-but the notes cannot obscure the text. An ex-library book and may have standard library stamps and/or stickers. At ThriftBooks, our motto is: Read More, Spend Less.Dust jacket quality is not guaranteed.